Native to West Africa this evergreen plant grows up to 2-5m in height. It produces white flowers and small red berries which are eaten to make bitter and sour foods taste sweet, hence it's name Miracle Fruit. It is frost tender but drought tolerant, it prefers high humidity climates and bears fruit after 3-4 years growth. 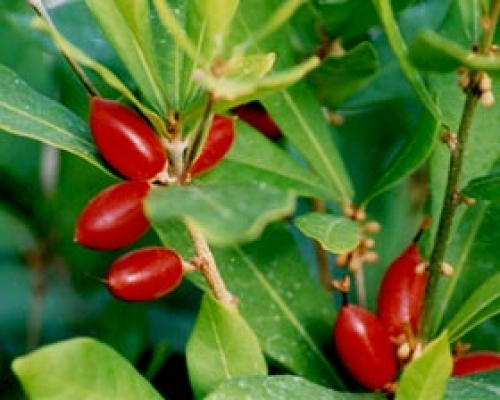 Common name: Miracle Berry; Magic Berry.